Residents at The Priory in Devon have restored a historical statue of the Virgin Mary – just in time for Christmas! 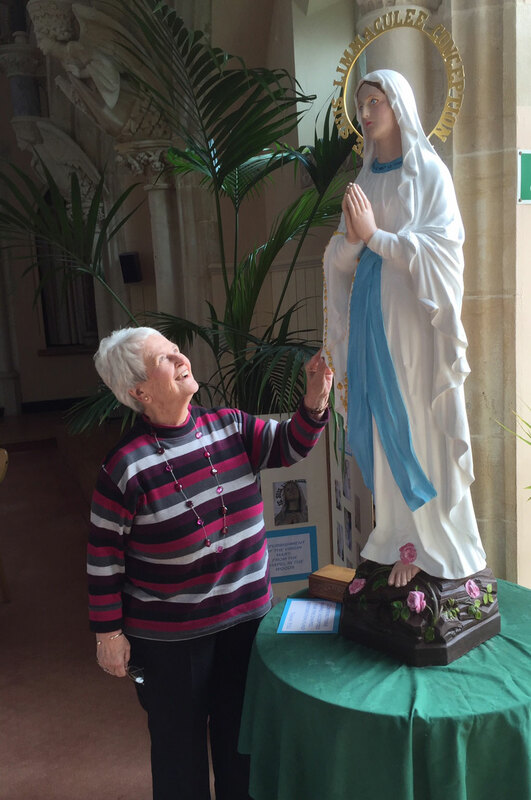 One of The Priory’s residents, Sandra Braznell, repaired the statue of the Virgin Mary, in readiness for a restoration project to start in the village’s woodland chapel in spring next year. Although residents do not have any information about when the Virgin Mary statue arrived there, they believe the Augustinian nuns may possibly have owned it before they arrived in Abbotskerswell in 1861. “The process of refurbishing the statue included a thorough dust and wash down with sugar soap. I then sanded everything down with very fine grade glass paper to remove chipped paint. Finally, I applied two coats of acrylic gesso, followed by quality acrylic paint. As you can imagine, it was a lot of work but it was well worth it,” said Sandra. The Priory’s woodland Chapel is being refurbished by funds raised by residents. This includes a full internal facelift, repairs to rotten wood both inside and out, and, in the spring, a complete external redecoration. “The dedication and goodwill shows just how proud the residents are about the history of their retirement community,” said Retirement Villages Sales and Marketing Director Sarah Burgess.